WhatsApp for Windows 10 - computer analogue of the popular messenger. Allows you to work with all contacts in real time, has a dialing Emoji, allows you to make video calls, send voice messages. It is possible to create conversations with several participants, send media files. Feature of use: requires that the smartphone is online. It is automatically synchronized with the contacts on the phone, so there is no need to manually enter the data about the person each time. 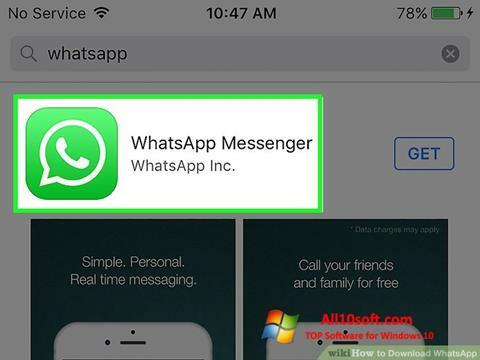 You can free download WhatsApp official latest version for Windows 10 in English.